Does the colour of your car have an impact on safety and security? 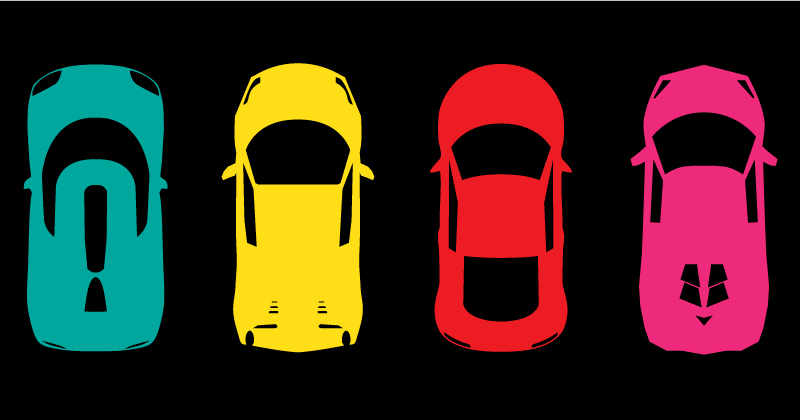 Research has shown that there is a distinct relationship between vehicle colour and crash risk+. The research conducted by the Monash University Accident Research Centre showed that compared to white, darker colours such as black, blue, grey, green, red and silver which have lower visibility were deemed less safe during the day. The NMVTRC’s CARS project conducted an analysis to determine any relationship between vehicle colour and theft. The colour of all passenger/light commercial (PLCs) vehicles stolen in the financial years 2011/12 and 2015/16 were collected and linked to registration data. In turn, theft rates per registered vehicles were calculated. This information was available for all states except New South Wales and based on this data, the following trends were identified. In 2015/16, green had the highest theft rate with 3.58 thefts per 1,000 registered vehicles (>200 thefts) in 2015/16. This was followed by black vehicles with 2.96 thefts per 1,000 registered vehicles. In 2011/12, red coloured PLCs had the highest theft rate with 3.30 thefts per 1,000 registered vehicles followed by white vehicles with 3.20 thefts per 1,000 registered vehicles. Black cars have become increasingly popular to own in 2015/16 (+29% increase in registered vehicles since 2011/12), however they are becoming more popular to steal (+56% increase in thefts since 2011/12). In general, there was greater variation between the theft rates by vehicle colour for profit motivated than short term thefts. This indicates that thieves may target particular colours, when stealing for profit, whereas colour is less of a factor in short term thefts, e.g. A black Holden Commodore VT MY97_00 was 3 times more likely to be stolen for profit than a red one however both black and red Holden Commodore VT MY97_00 had similar theft rates for short term thefts. A red Nissan Pulsar N15 MY95_00 had the highest theft rate (29.6 thefts per 1,000 registrations) and also a 46% higher theft rate than a blue one. A black Holden Commodore VE MY06_13 has a 57% higher theft rate than a silver one. A black Holden Commodore VT MY97_00 had a 60% higher theft rate than a white one.